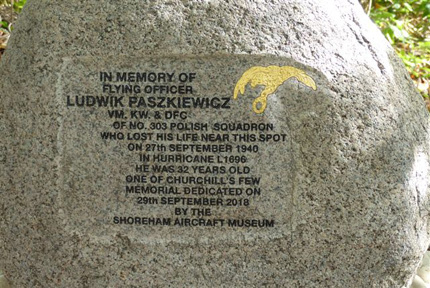 Having previously honoured Battle of Britain pilots from the UK, Australia, New Zealand and South Africa, the Shoreham Aircraft Museum ‘Local RAF Memorials Project’ has now dedicated a memorial to ‘One of The Few’ from Poland. 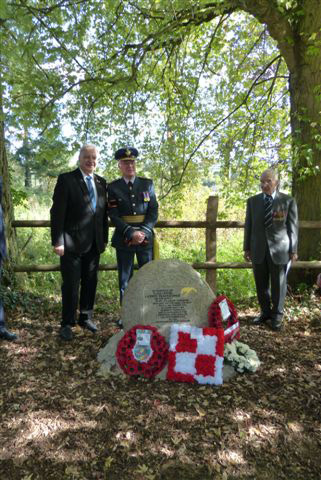 A magnificent stone memorial was unveiled on 29th September 2018 to honour Flying Officer Ludwik Paszkiewicz VM, KW & DFC, of 303 ‘Polish’ Squadron. He lost his life on 27th September 1940, when his Hawker Hurricane was shot down and crashed on Crowhurst Farm, Plaxtol, near Borough Green in Kent. The dedication service was well attended including representatives from the ‘Polish Airmen’s Association UK’, ‘Polish Air Force Memorial Committee’ and ‘The Children of 303′. The service included a superb and poignant tribute flypast by the Hurricane from the Biggin Hill Heritage Hangar flown by Clive Denney. 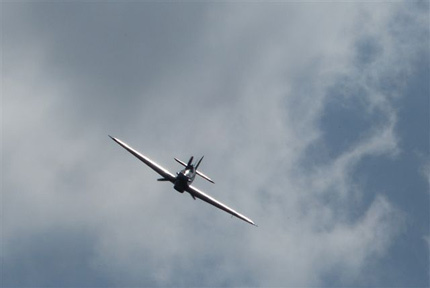 You are currently browsing the Shoreham Aircraft Museum – News archives for October, 2018.